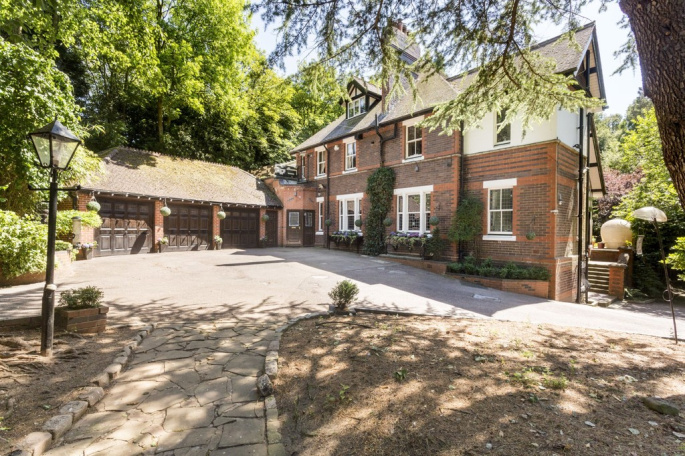 SUBSTANTIAL COUNTRY HOUSE with TRULY DELIGHTFUL GROUNDS AND PADDOCKS extending to approximately 4 acres along with a THREE CAR GARAGE and STABLES. NO CHAIN. Reception Hall providing a most welcome introduction to this fine country residence. Stairs gracefully rise to the first and second floors. Painted part panelled walls and door with steps down to cellars which also have services for domestic appliances. 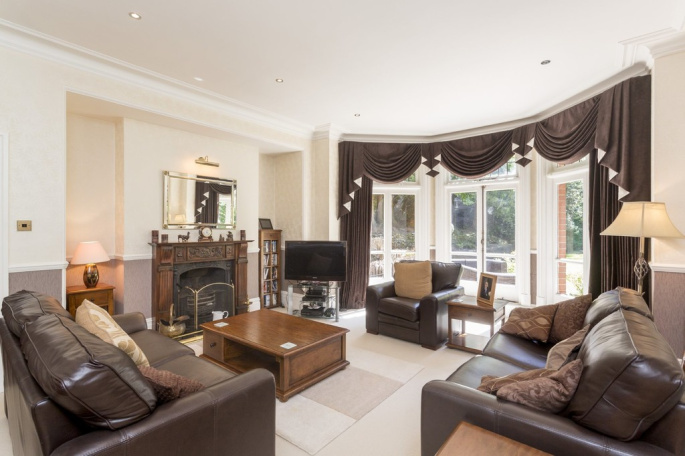 The elegant Drawing Room has deep bay central opening french style windows and leaded upper lights enjoying views of the garden. There is a recess to a traditional cast open fireplace with wooden surround. 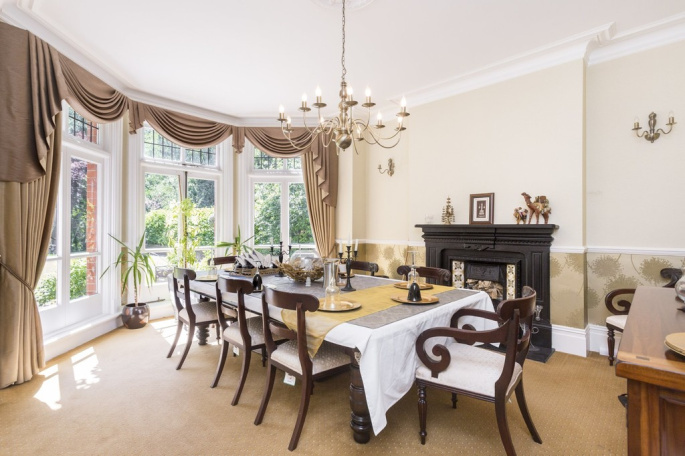 Separate Formal Dining Room again having a deep casement bay with upper leaded lights and opening central french style windows with lovely views of the garden. Cast open fireplace with tiled inset. 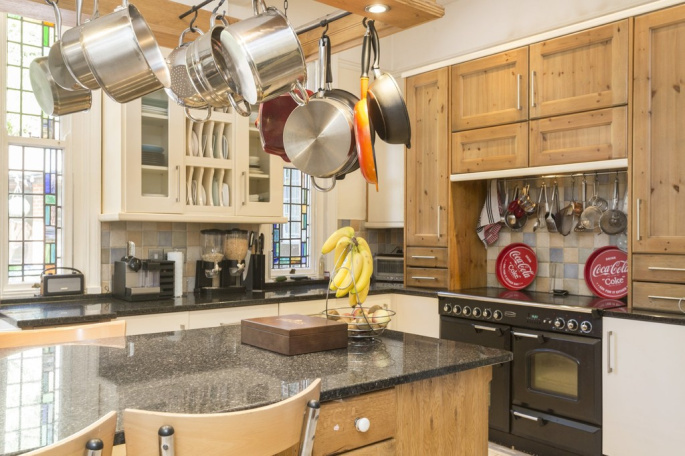 Attractive Kitchen having an extensive range of contrasting wood and gloss units with granite work surfaces, a ceramic double sink and a central granite dining island with further cupboards beneath. Integrated appliances comprise range style oven, fridge, combination microwave, coffee machine and dishwasher. 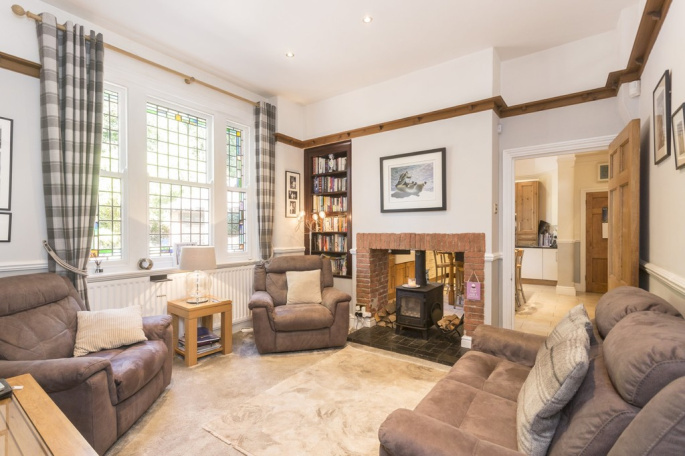 Cast log burner which is open to the adjoining Sitting Room which has a range of fitted bookshelves and a leaded and stained glass window. Side entrance porch and hall off which leads a Boot Room with stainless steel sink and drainer. Access to the garage, to the large walk-in store/workshop and a pantry off. 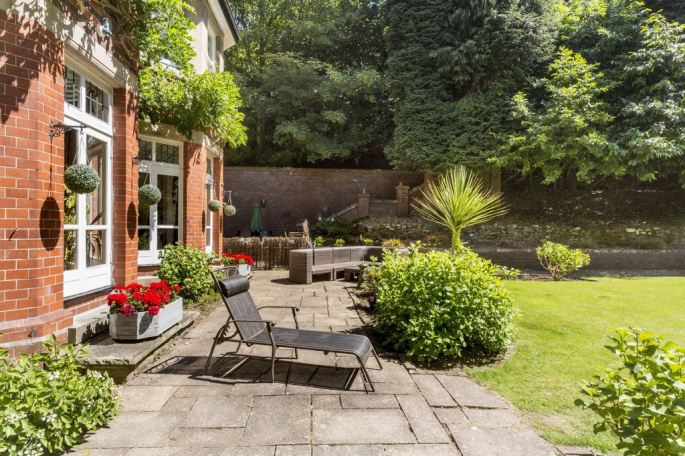 The Conservatory has a tiled floor and french style doors opening to the terrace. The First Floor Landing has painted part panelled walls and leaded stained glass windows. 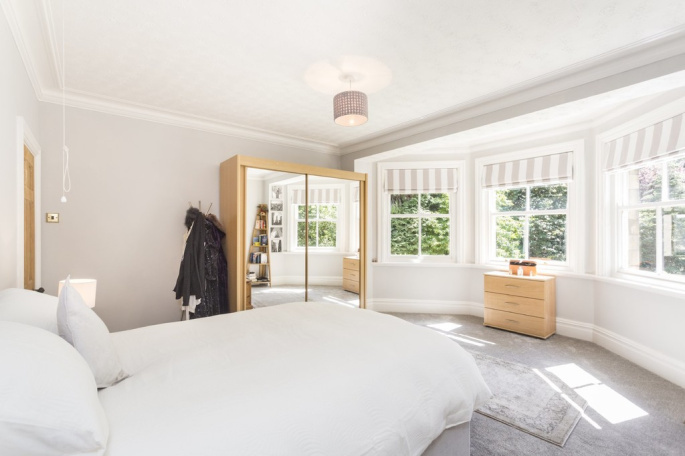 The Principal Bedroom has a deep bay and enjoys fabulous views of the garden, with two built in wardrobes and an En Suite which is luxuriously appointed having a roll top freestanding bath, twin wash basins with integrated cupboards beneath, a separate shower and low flush w.c. 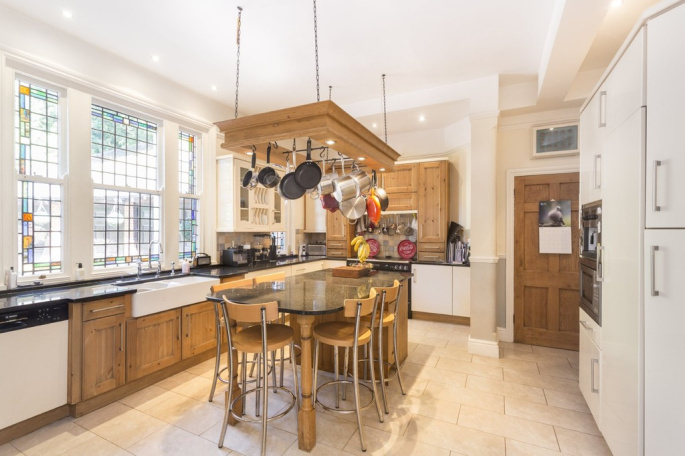 Built in cupboards and exquisite contrasting wall and floor tiling. 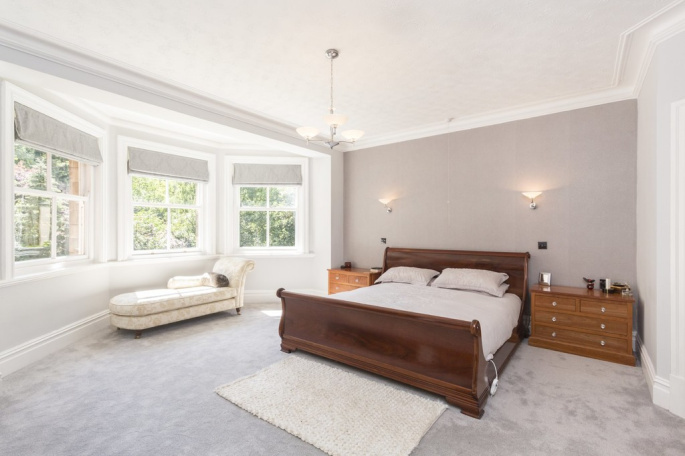 The Second Bedroom also has a bay window enjoying fine views of the formal garden and En Suite comprising shower, pedestal wash basin, low flush w.c, leaded and stained glass window. Bedroom Three has a professionally fitted range of office furniture and currently provides an excellent study. 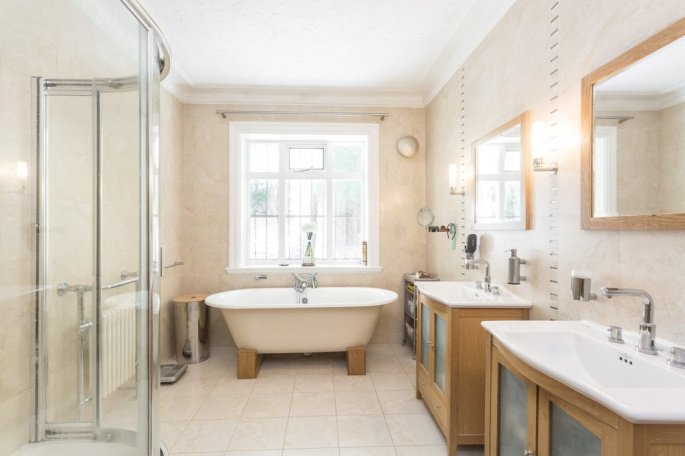 Bedroom Four has a sash window and the Family Bathroom has a traditional free standing bath, pedestal wash basin, low flush w.c, separate shower cubicle and chrome vertical radiator. 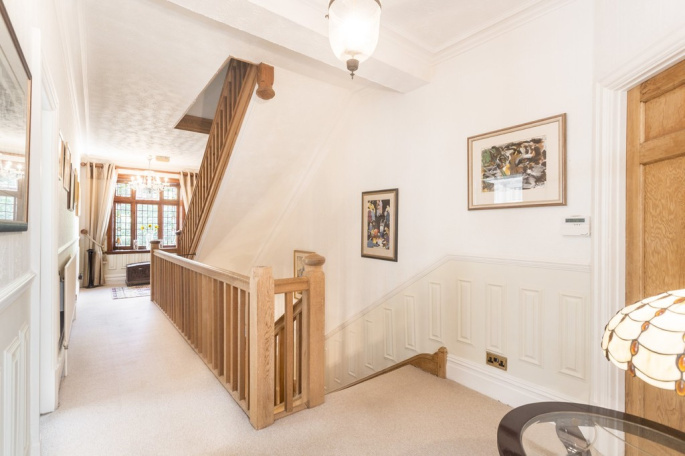 There is also a second staircase leading to the ground floor and adjacent to this a separate Cloakroom. 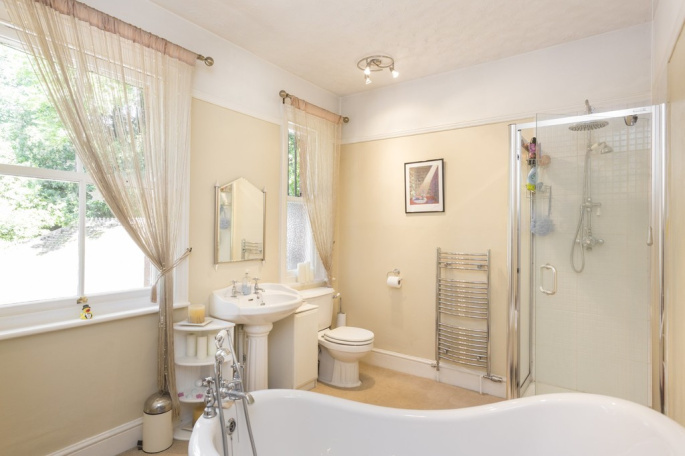 The Second Floor has Three Further Bedrooms and an attractively appointed Bathroom comprising freestanding bath, pedestal wash basin, low flush w.c, separate double width shower, chrome towel radiator and superb contrasting wall and floor tiling. 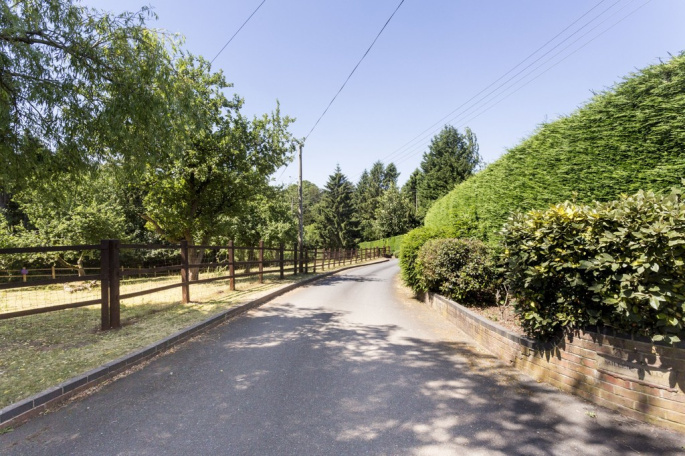 The long drive sweeps down off the lane with paddocks either side and a circular raised bed. The drive extends down through remote controlled electronic gates to the further drive area that provides parking for numerous vehicles. Three Car Garage (irregular in shape). 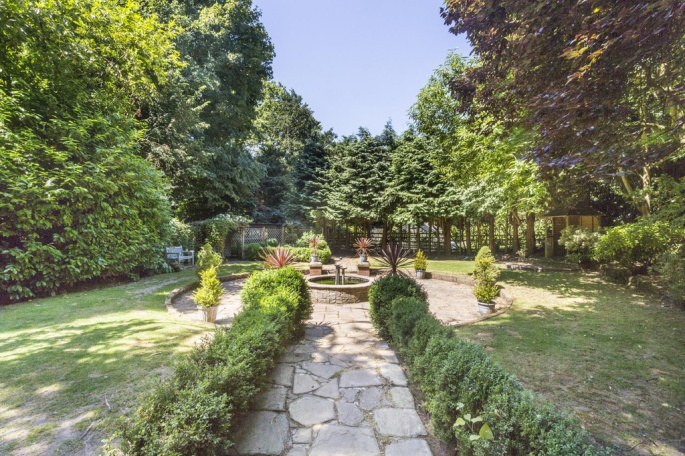 To the front is an abundance of mature trees and formal gardens with circular terrace and raised water feature, approached via a path with privet hedge. 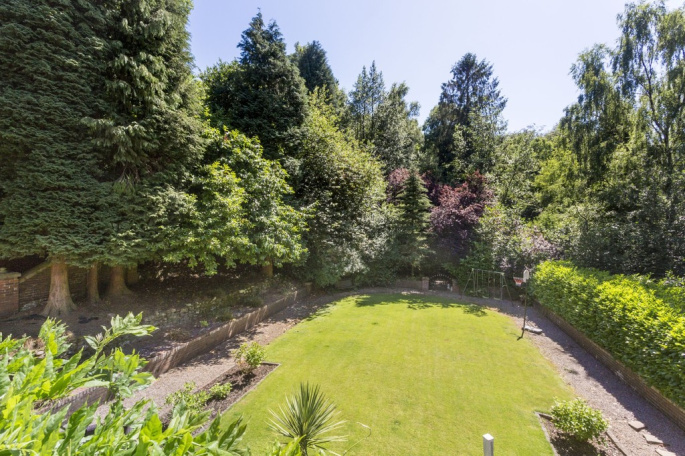 There are further enclosed formal gardens with paved sun terrace and lawns beyond. 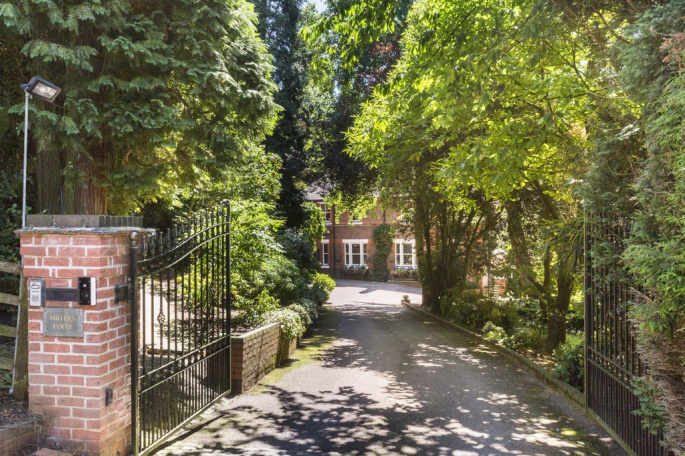 Half height walls and a mixture of laurel hedge and mature trees. 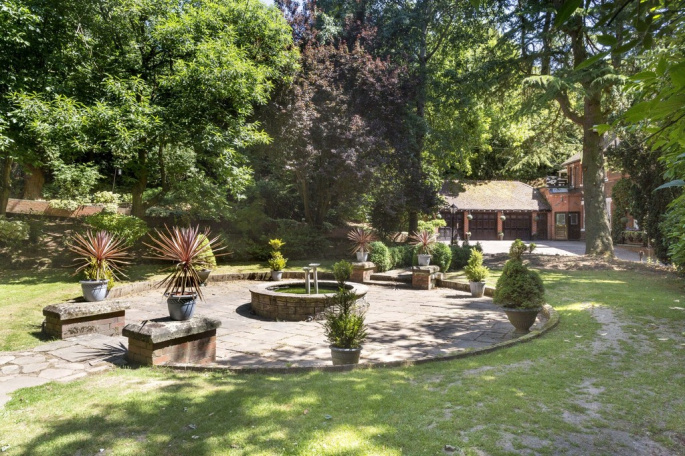 Beyond the more formal garden area there are some delightful walks through woodland. The garden continues to a working side area which has several sheds, a greenhouse and children's play area. 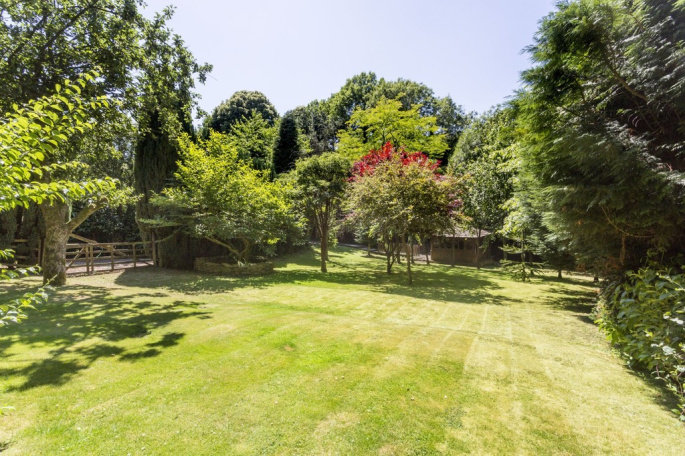 Further wooded area and the land rises to one of the paddocks which has two stables and a hay barn. 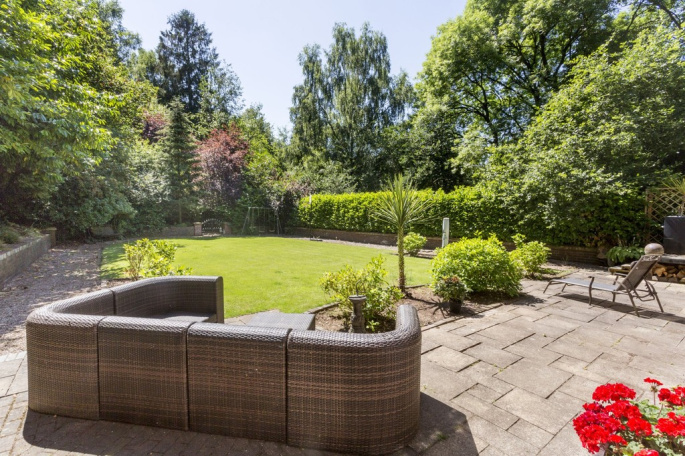 The property enjoys a truly enviable location situated in Moddershall conservation area yet so convenient for the thriving canal town of Stone which is less than a 5 minute car journey away. Stone has a variety of local shops and amenities. The larger county town of Stafford has a mainline intercity railway station with regular Virgin services operating to London Euston and taking only approximately one hour and twenty minutes. Junction 14 of the M6 provides direct access into the national motorway network and M6 Toll. From Stafford take the A34 Stone Road and continue to the island on the outskirts of Stone where the A51 and A34 meet. Proceed past Aldi on the left hand side and at the island (garage on the left), turn right and continue into Stone town centre's one way system. Bear right and continue to exit Stone then bear left onto the A520. Proceed until you reach the crossroads and turn right into Hayes Bank signposted Moddershall. 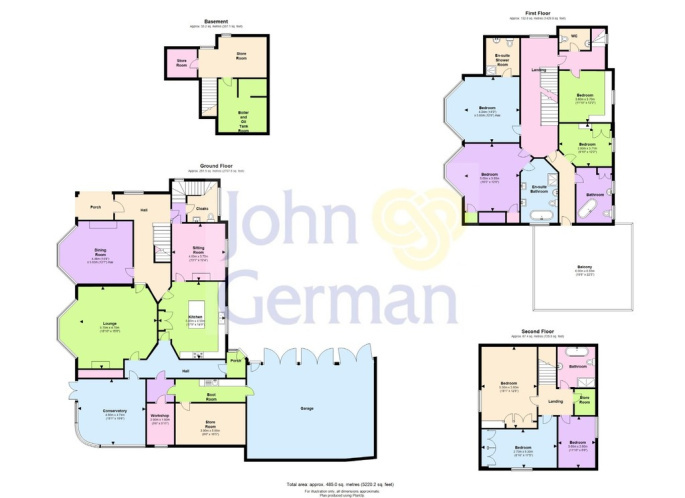 The property is situated after a short distance on the left hand side. 1) We believe the property was built in 1910. 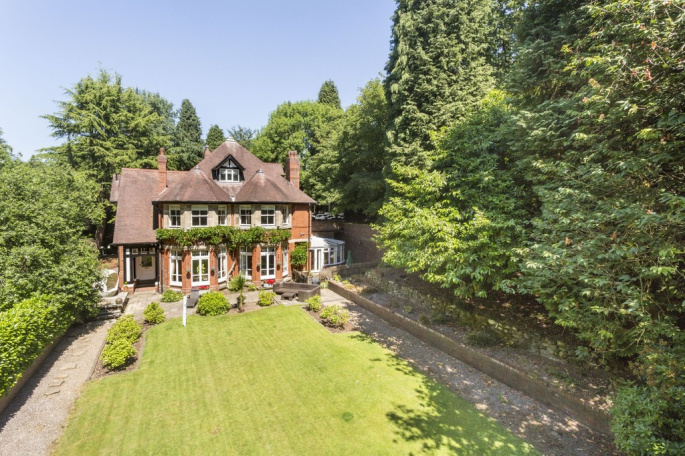 2) The property is situated within a conservation area. 3) No mains drainage. Drainage is to a septic tank. 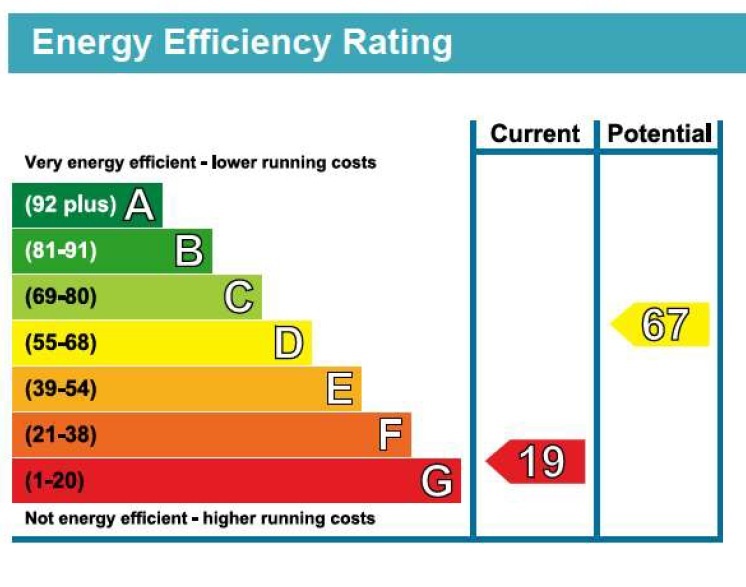 4) There is mains water and mains electricity although no mains gas. Central heating is via an oil fired system. 5) To the extreme area of one boundary there is a right of access for the benefit of a family visiting a grave situated on the adjoining land. 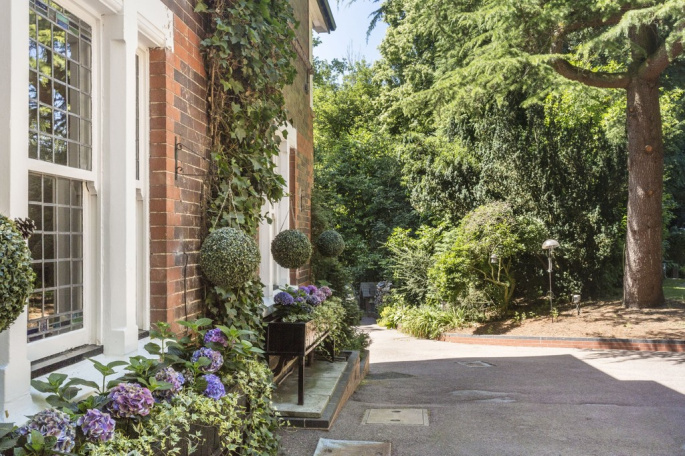 "What I thought would be a stressful and frustrating process has turned out to be an experience I have quite enjoyed, not just because I have managed to sell! None of this would have been possible without your guidance, professionalism, judgement and integrity, all of which speaks volumes for you and indeed John German. I would not hesitate to recommend you. "